Air travel can be stress-inducing under the best of circumstances — but two passengers aboard a recent international flight were given an extra reason to feel a bit anxious. The couple were on a flight from Australia to Germany earlier this month when, at some point along the 20-hour journey, they discovered that they were in the company of a rather intimidating-looking stowaway from down under. 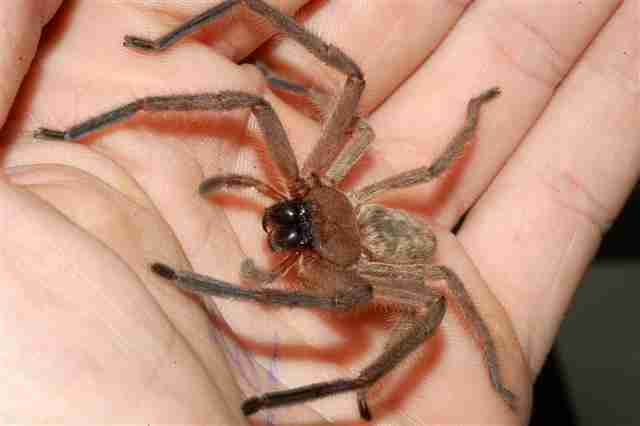 Sure enough, crawling around inside a backpack they'd brought aboard as a carry-on was a very large and hairy spider. Chances are, it came as quite a shock. Despite their alarm, and inability to escape without prying open the plane's hatch, the couple were evidently able to maintain their composure. They didn't squash the "scary" spider, or fling him out in a fit of panic, but rather kept him safe for the duration of the flight. Upon landing in Munich, the couple informed airport staff of the arachnid, and customs officials then took custody of him from there. According to local media reports, a veterinarian confirmed the spider to be a huntsman spider — a pretty friendly and harmless species from Australia that can grow to have a leg span of about 7 inches. 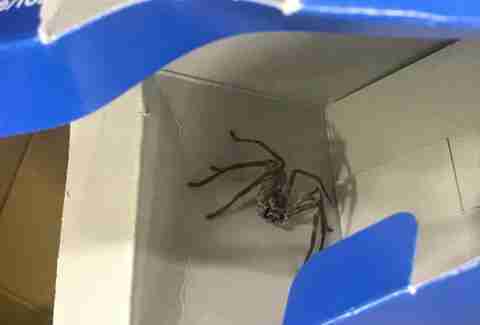 Customs officials, thankfully, were sympathetic for the spider, too, and are said to be seeking a caretaker for him. Interestingly, this isn't the first time a huntsman spider has made himself known at a pretty inopportune time. Last November, Aussie native Bianca Merrick found one while driving home from work. Fortunately, in Merrick's case, her spider encounter had a happy ending too. After all, just because some spiders look quite scary doesn't mean they are not worth saving.